SolarShare’s vision “is for people to share a connection with their energy supply, their investment, their community and the environment through ownership and participation in local renewable energy generation.” It actively uses the term “Community Energy” to showcase why they believe society should become more closely involved in selecting energy sources and opting for economic activity on a more local scale to help members to build closer connections with other members of their community. Being a member-owned business is meant to encourage shareholders to have a closer connection with the activities and operations of the business. With a prescribed investment of only AUD 500, SolarShare is expecting to gain the commitment and participation of between 400 and 600 community members and that the majority of renewable energy investments will be between AUD 1000 and 10,000. So how does it work? After the SolarShare investors have parted with their money, SolarShare uses the collective pool of member funds to invest in solar energy projects. These projects, once developed, will generate clean energy which will be sold under a long-term agreement to the energy customer. The energy prices will likely differ depending on where the solar project is located. From this agreement, SolarShare then receives money from electricity sales which it then returns to its community members and investors in the form of a dividend. 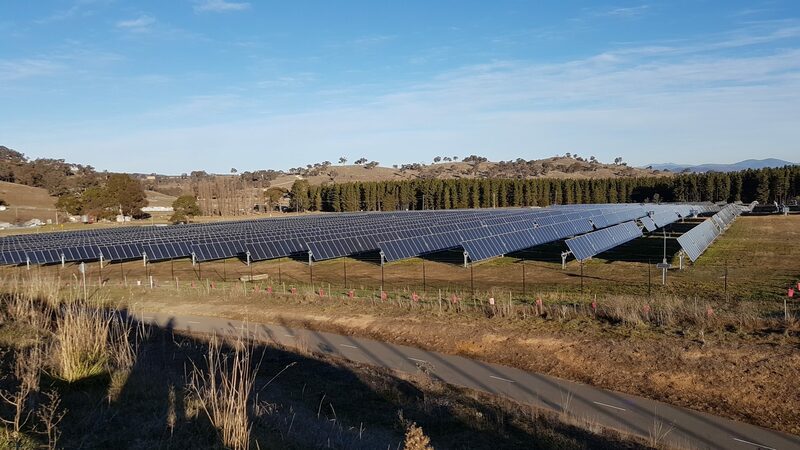 SolarShare’s flagship project is a 1-megawatt solar farm in the Majura Valley near Canberra which is already an existing tourism trail. SolarShare’s websites mentions that “The area combines local agriculture and produce with nearby institutions like the Winery and Truffle farm and can now boast being a focal point for local communities transitioning to a renewable future through innovation in sustainability.” It is expected that once complete the solar farm will produce enough clean energy to power approximately 250 homes. Along with its flagship project, SolarShare is actively promoting and developing rooftop solar power projects on sites located within the Australian Capital Territory that have stable occupants and high, consistent electricity usage rates. Potential sites can include shopping centres, office blocks and office parks, municipal and government buildings and other buildings with large areas of vacant rooftop with high levels of exposure to the sun. When deciding whether to invest in a renewable energy project, SolarShare considers certain criteria. The size of the project is important because it must be large enough to cover standard operating costs while offering a suitable return to investors, transparency between project developers and landholders is essential and the process by which the project receives income and returns dividends must be clear and easy to understand. Furthermore, SolarShare does not want to expose its investors to any undue risks and the amount of emissions that are offset by the project are compared to the Australian Federal Government’s renewable energy targets. Finally, a site is considered for its ability to foster positive connections within the local community. Canberra residents, David and Lainie Shorthouse, are two existing SolarShare investors. They have proudly stated to The Advocate that “We’re backers, not bystanders. Like many, we’re concerned about climate change – and want to play our part. That’s why we’re among the 867 people who invested in what will be Australia’s largest, community-owned solar farm.” Their statement indicates that SolarShare has already exceeded its estimated membership target. Taking investment decisions into their own hands they note that “While governments can be slow to act, individuals, communities and businesses across Australia are finding their own solutions.” They also note that while the transition to renewable energy has indeed begun it needs to occur faster. “None of us can do everything, but we can all do something” they believe. ‹ Finance: Key Agenda Item of UN Climate Change Negotiations	› Can We Use Internet Searches to Plant Trees?